I didnt really care for the standard orange glow that most of the clocks give off, so I changed the color... alot.. if people like this I'll continue to add more. This is an all-in-one zip; extract this archive and you'll find several zips containing the different colors, place all or just the ones you want in "SDCARD/MIUI/gadget/clock/". Ok fellow androidians, show me some love (just 1 freaken comment! cmon!) and I'll release some more, ive already got some more finnished, just wanna know that at least someone likes this. I like them!! Would be great if you could include some 12hour versions? PS. Your download link seems to be broken, and clicking on the screenshots takes you to a broken link page.. Maybe that's why you're not getting any comments?? All links should be ok now. What format did you zip it in? Like store or what? It would be nice if you could mod the clocks to provide a set with the date format switched around. Example : For September eleven, instead of 9-11, have 11-9. 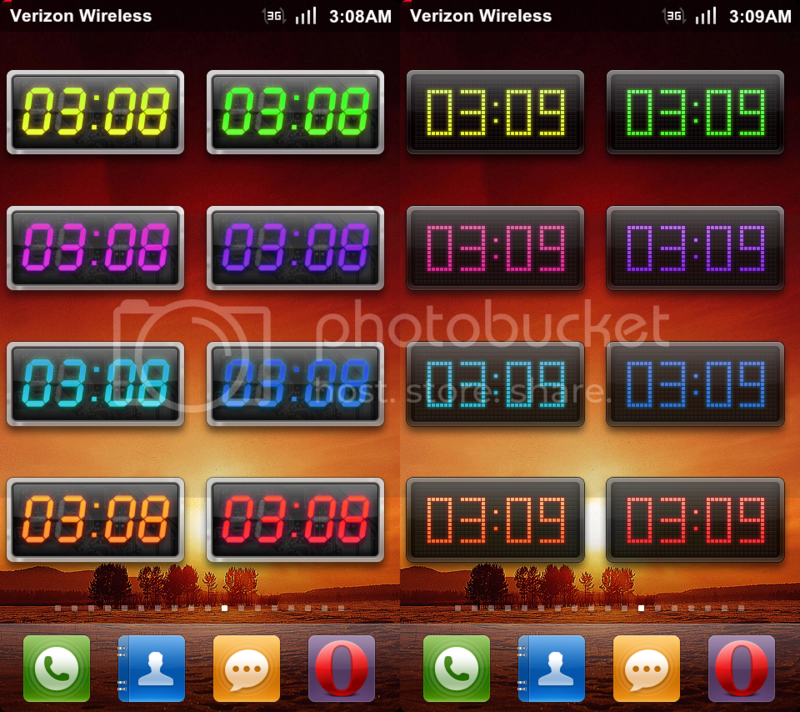 But otherwise good work, using your clocks on my homescreen ever since i got them! WoW, SICK. Nice job man! 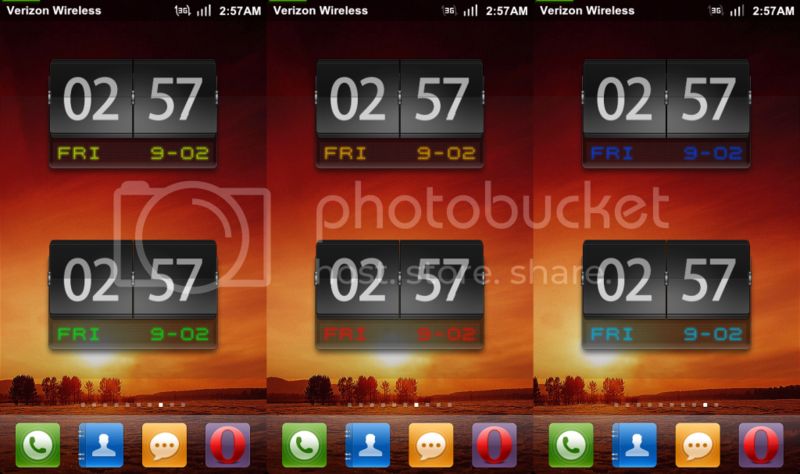 Do you know how can I use these miui clock widget in go launcher? is it possible? sorry for the semi offtopic guys..
Im back, sorry for not returning for so long. Ive been working at my new day-job for awhile. Im glad you all like my work with the clocks. Im planning on making some changes and updates soon. -More styles of modded clocks. If you guys/girls have any more suggestions please feel free to post them, as I am open to new ideas. 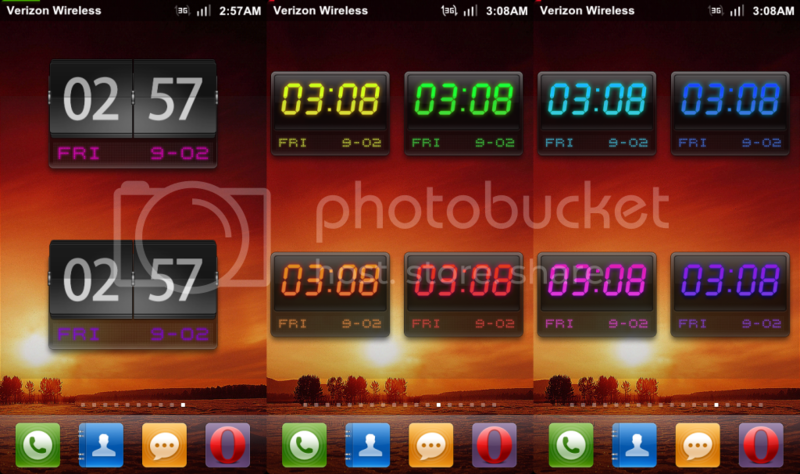 I hope you're all doing very well and enjoying MIUI (except battery life ) and these modded clocks I've created. As far as I know, MIUI widgets cannot be used with any other launcher, and vise-versa. Im sorry. There should already be screenshots posted, however if there isn't, its because I'm using Photobucket to host my images, and I'm using Dropbox to host my AIO.zip package. Sorry for the inconvenience.